Tory MP Zac Goldsmith to join The Green Party over Heathrow expansion? With the release of a government commission short-list of possible further airport expansions, rumours of a Conservative defection to The Green Party have started circulating. Hynd’s Blog takes a look at the possibility of The Green Party attracting millionaire Conservative MP, Zac Goldsmith. Conservative MP Zac Goldsmith has responded angrily to the prospect of Heathrow being expanded saying that Cameron will “never be forgiven” if he u-turns on Heathrow expansion. A government-appointed independent commission, led by Sir Howard Davies has today issued a shortlist of three options for building new runways – 2 of which are based on expanding Heathrow. Although this might seem like a long-shot, Goldsmith does have a long established relationship with the party. 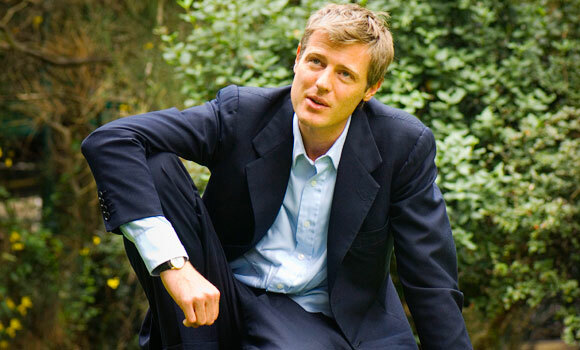 His uncle Edward (Teddy) Goldsmith was a founding member of The Green Party and the founding Editor of the Ecologist Magazine – a role Zac would go on to take up himself. It is equally well known that Goldsmith has a close working relationship with Green MP Caroline Lucas in parliament. This stretches beyond traditional ‘(G)green’ issues to issues such as drug policy reform. @ErrorFourOThree There is much to love about the Green Party! In short, it’s not as impossible as some might think for this Conservative millionaire to join a radical left-wing party…but let’s be honest, neither is it very likely.